Home » In Home Decor, Less Is More, from… The OC! In Home Decor, Less Is More, from… The OC! 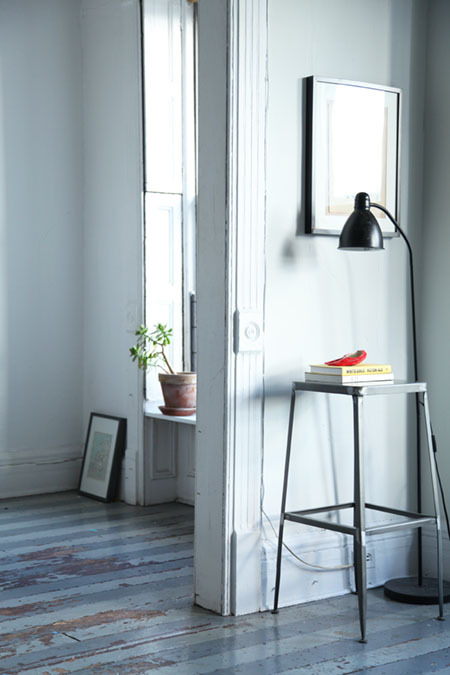 Refreshing your living space is all about subtraction, not addition. When you live in a small space, especially if you are a renter, it’s often difficult to keep your home streamlined. Clean lines and simple design aren’t achieved easily. The key is to avoid overcrowding so your space can sing. Editing a space is a trade secret of quality interior decorating. 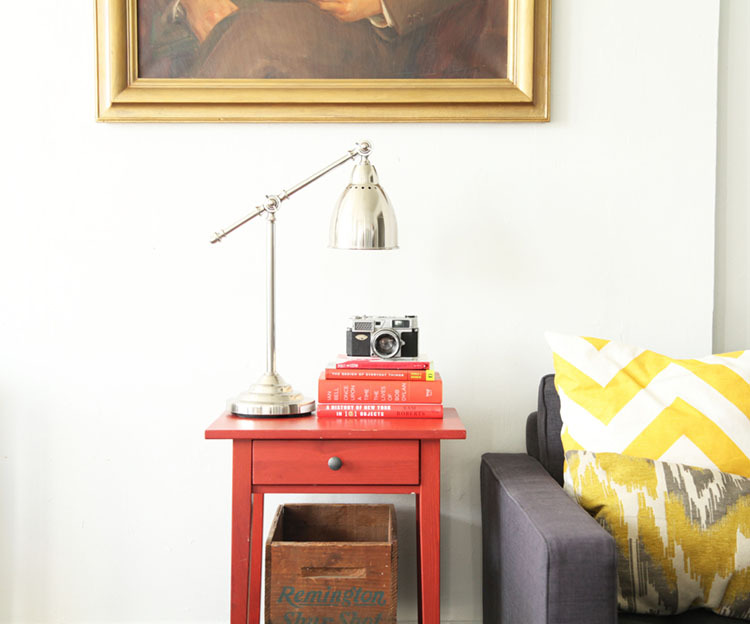 Here are some tricks for redecorating using items you already have. You’ll be amazed how a quick rearrangement can change your perspective. 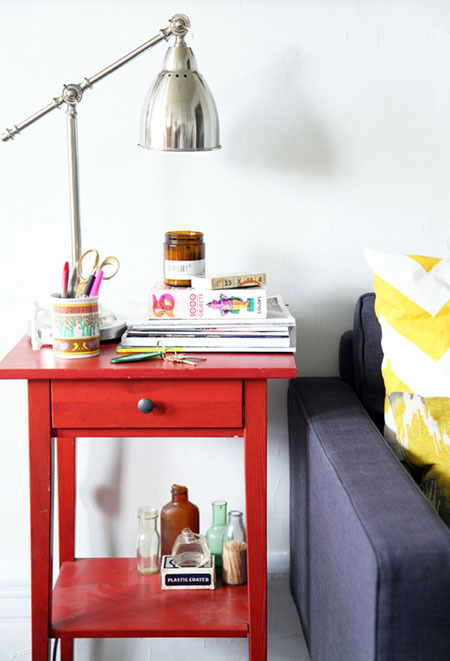 End tables often become a magnet for magazines, keys, office supplies and more. Get rid of the debris, then discourage it from accumulating again by grabbing a few favorite titles with color-matching bindings and stacking them to create a sweet, concise arrangement. Add interest by introducing an item with personal significance, like a camera or vase. You’ve already got the materials for this easy update, and even a small edit can have big impact. Your space will instantly look bigger and cleaner. 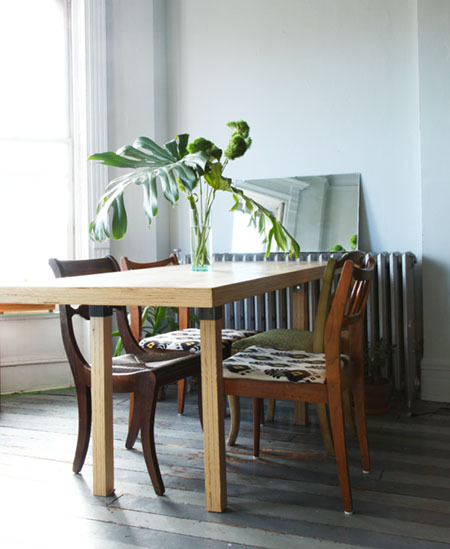 The dining room table and office spaces can quickly become cramped or overcrowded. Clear off your pop-up office and unopened mail, and replace the mess with one seasonal arrangement on the table. Large palm fronds in a tall glass vase make for an eye-catching centerpiece. Putting natural wood near metal accents creates a contrast in textures. 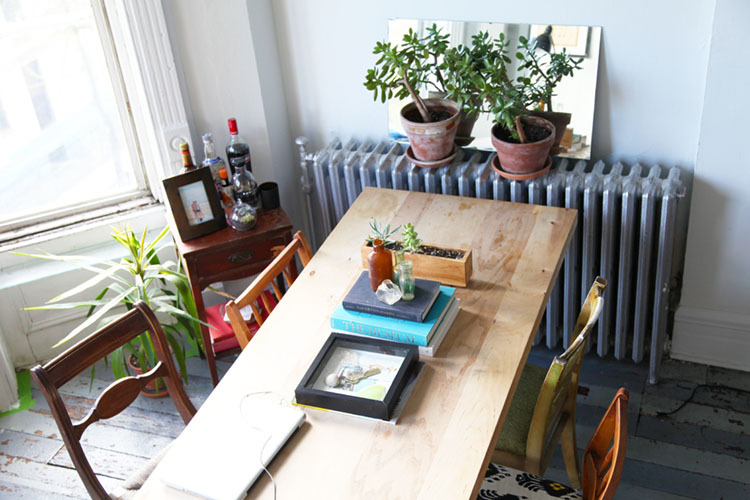 This large custom wood table next to the radiator screams brownstone charm. Streamlining is an amazing way to draw the eye to your home’s accents. The age-old Coco Chanel saying to take one accessory off applies to your surfaces as well as your outfits. The trend a few decades ago was to surprise with loud bursts of colors and accent walls. While bold colors have their place in the design world, the trend of the moment is simple white. But don’t think going with white limits your options. It’s not your mother’s eggshell anymore, and you can really express yourself with this powerful neutral. For example, Sherwin-Williams offers tons of shades, like Ice Cube, Opera Glass, and Medici Ivory. A white backdrop brings the spotlight back to your amazing home. Whether you highlight its delightfully worn hardwood floors or boldly accented side pieces, your space can act as a canvas to show off all the furniture and personal touches you’ve added through the years. If you’ve got old books, records or dishware taking up valuable space, there are tons of ways to make sure these unwanted items find a good home. Use websites like Krrb.com to sell or trade your unwanted home furnishings. 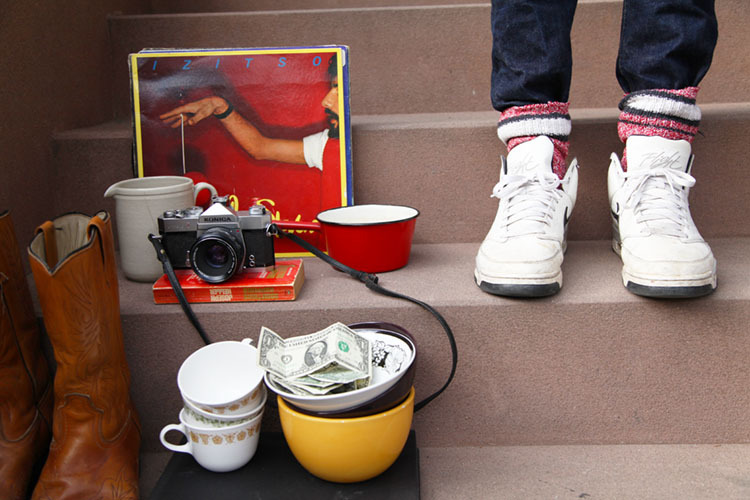 Even an old-fashioned yard (or, in this case, stoop) sale can keep your discarded belongings out of the landfill. They’ll become someone else’s treasures — and you’ll clear some space and make a little cash. Since 2003 Arthur has gained valuable experience selling real estate in the greater Orange County Area (L.A., Orange, San Bernardino & Riverside Counties). Working closely with Asset Managers of REO Properties: Broker Price Opinions, Cash for Keys, Vendor Contacts and Property Preservation. Arthur has been able to help many with his passionate representation: continual pursuit of education and training (making him a Certified Distress Property Expert and REO Specialist) coupled with his desire to go the extra mile for his clients.